Sark lies six miles east of Guernsey, 14 miles north-west of Jersey, and about 20 miles from France, in the Bay of St Malo. The island, which is 3 miles long and 1.5 miles wide at its broadest point, consists of two parts called Great Sark and Little Sark. The two are connected by La Coupée, a 300-foot-long isthmus that is only about 30 feet wide with a drop of about 100 feet either side. 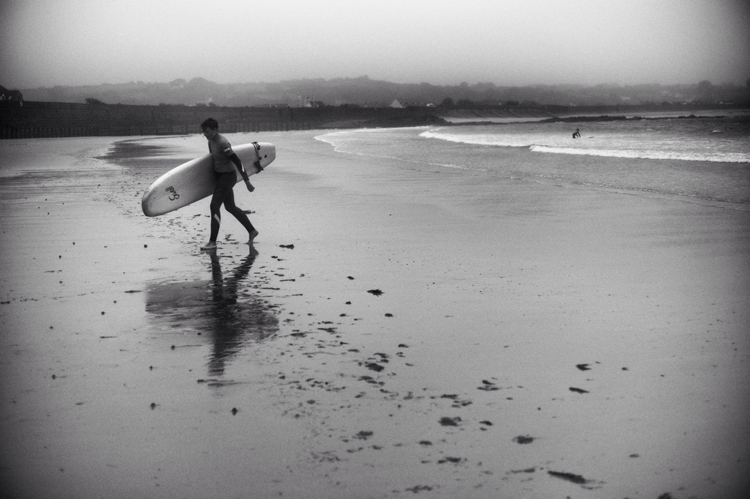 Mervyn Peak described the outline of Sark as being ʺwasp-wastedʺ in his novel ʺMr. Pyeʺ which he set on the island. Until about 1900 when railings were finally added, children would reportedly crawl across Le Coupee to avoid being blown over the edge. The Coupee is flanked by two bays: La Grand Grêve to the west and Convanche Bay to the east. The drop to the latter is steep, but access to La Grand Grêve is much easier with steps leading down to the island’s most popular beach. Other popular sites for visitors are two natural tidal swimming pools, the Venus Pool, or Venus Bath as it is also known, which is 25 ft deep, and the Adonis Pool. The Window in the Rock, a man-made hole in the rock from which you can admire the island’s beautiful scenery is also a regularly frequented site. The window was cut in the 1850s on the instructions of the Reverend William Frederick Collings, the then Seigneur, to give a view of Saignie Bay. There is a smaller, privately owned island called Brecqhou which is separated from Great Sark by a narrow channel called Le Gouliot. The highest point on Sark and, indeed, the Bailiwick of Guernsey, is about 375 feet above sea-level. This area is called Le Moulin, named after the windmill that is found there, the sails having been removed during World War 1. The landscape still bears the scars of the short lived silver mining operation that took place from the early 1800s. By the time the mines were abandoned in 1847 due to the high cost of the operation, the incumbent Seigneur, Ernest le Pelley, who had mortgaged the island to a privateer, John Allair, to fund the enterprise, was deeply in debt. As a result, the fief was sold to Collings family. The current Seigneur, Michael Beaumont is a descendant. 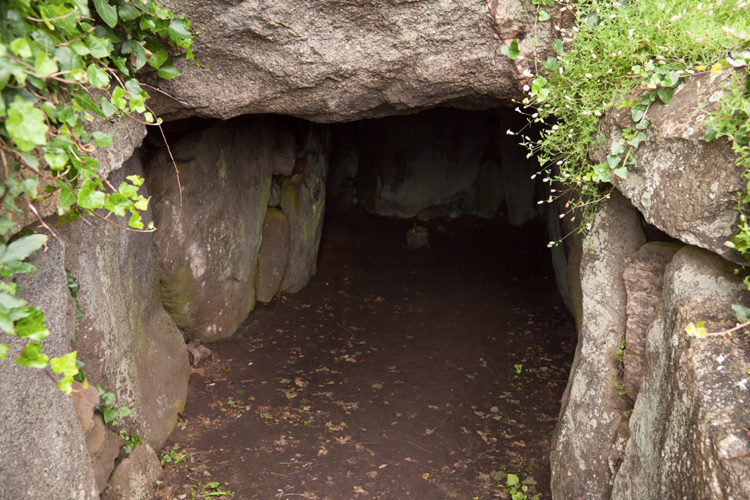 The mines encouraged visitors from Guernsey which subsequently allowed the development of the tourist trade since the visitors found the beauty of the island a reason to return. On the east coast is Point Robert lighthouse built in 1913 and subsequently automated in 1994. The lighthouse’s primary function is to guide vessels away from the pinnacle of Blanchard Rock, which lies several miles to the east and only visible above the water on low spring tides. Access is only possible by a staircase of 146 steps from the top of the cliff. It is now remotely monitored from a site on the mainland. Coasteering is a popular pastime on Sark due to the rocky coastline and the many caves, including the Guoliot Caves, part of Sark’s first Ramsar designated Wetland of International Importance. Here you can find plethora of sea anemones and other marine creatures. Another feature of Sark is its prison. Reportedly it is the world’s smallest prison, and perhaps regarded as one of the strangest prisons on the planet. The Prison was built in 1856 and has no windows and only enough room for two prisoners. It is still in use, although since crime is rare, it is used infrequently. The population of Sark (including Brecqhou) is approximately 600 which doubles during the summer months. It is served by two churches: St. Peter’s Anglican church and a Methodist church. St Peter's Church is relatively young, having been built in 1820. 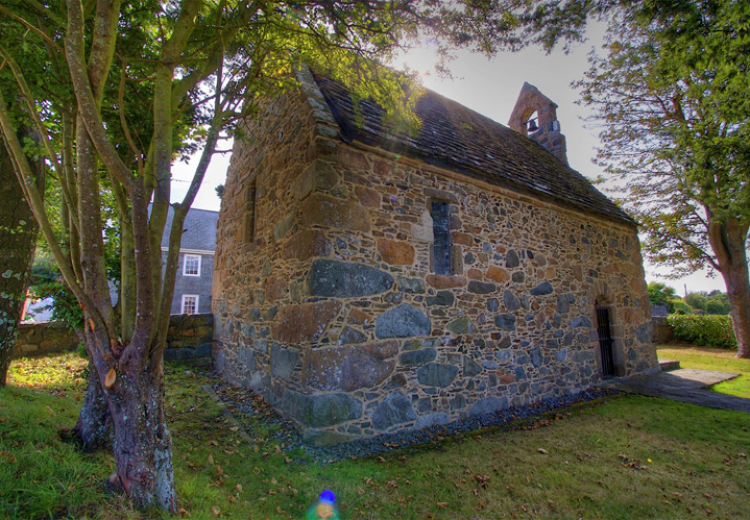 Sark's Ebenezer chapel was built a little earlier in 1796. 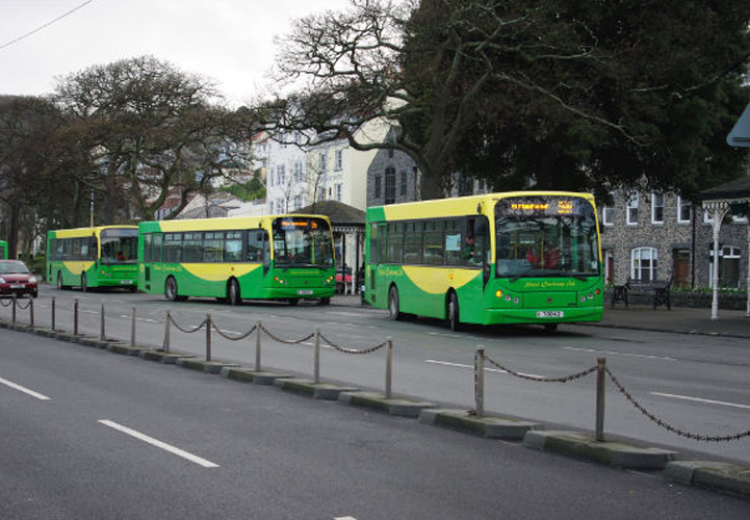 Sark can be reached by a 55 minute ferry ride from Saint Peter Port on a service run by Isle of Sark Shipping. In the summer there are ferries from Jersey and Granville and Carteret in France, which are operated by Manche Iles Express. A 12-passenger boat, the Lady Maris II, operates regular services to Alderney. There are also private moorings available for private boats at Havre Gosselin on the west coast and at La Grève de la Ville bay on the east coast, and also anchorages in various bays around the Island except Maseline Harbour and Les Laches, outside the Creux Harbour. 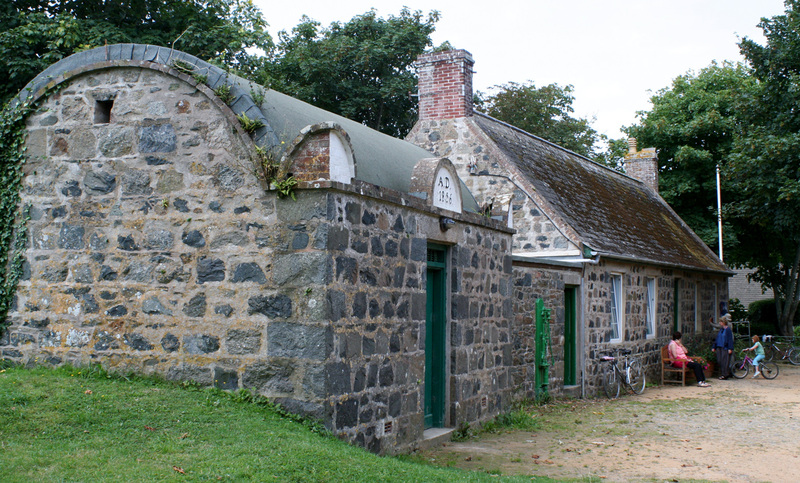 Originally, the government of Sark was hereditary although with permission of the Queen the fief could be sold. Then, in 2006, residents of Sark voted to introduce a fully elected legislature to replace the feudal government. This change to an elected legislature came into law in 2008, although the title of Seigneur remained, albeit with fewer powers. The present Seigneur, Michael Beaumont OBE, inherited the title from his grandmother, Dame Sibyl Hathaway, on her death in 1974. There is a resident doctor on the island and The Sark Ambulance Service has two tractor drawn ambulances, which are ordinary ambulances converted to be pulled by tractors. The service can care for casualties and transport them to the harbour for medical evacuation care of the “Flying Christine”, Guernsey’s marine ambulance operated by the Guernsey Ambulance and Rescue Service, a private company operating as a charity as part of St John Ambulance. The Sark Fire and Rescue Service is manned by about 20 volunteers and operates two pump tenders and an all-purpose trailer that, like the ambulances, are pulled by a tractor. Policing is done by a special constable and via regular visits by Guernsey’s Police Service. There is a school for the approximately 50 children of the island, which consists of 4 classes and takes children from 4 to 15. 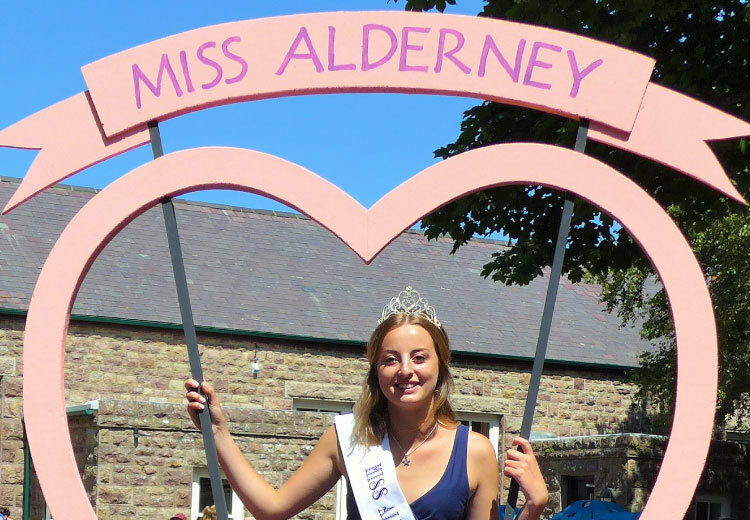 While an education beyond this can be provided, most children finish their education in Guernsey or further afield. 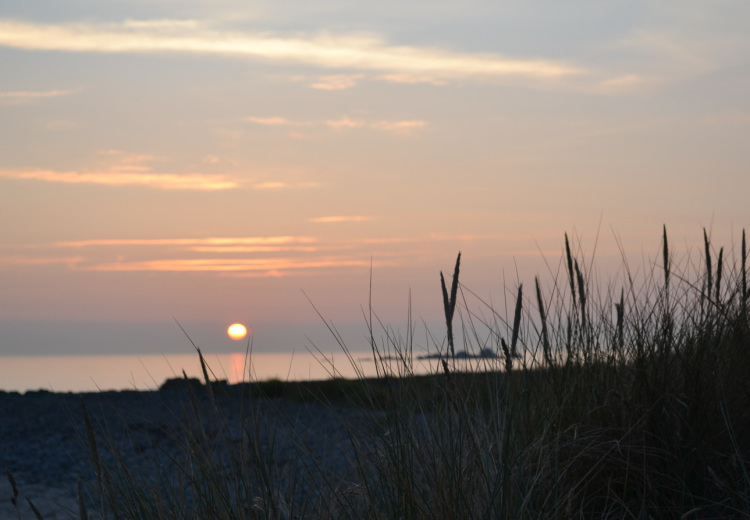 Sark School has a staff of four full-time teachers supported by three part-time teaching assistants. In addition, Victor Hugo once said about the island that it was a sort of fairy castle, full of wonders. 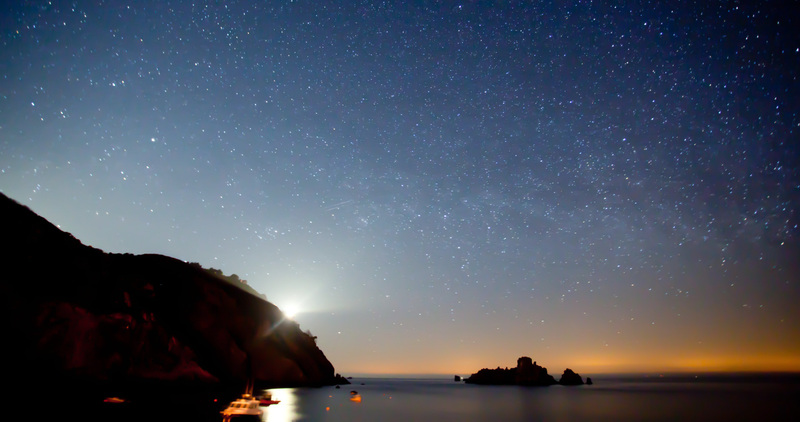 The Island wonders are not just restricted to those on the ground because, in 2011, Sark was designated as a Dark Sky Community and the first Dark Sky Island in the world. 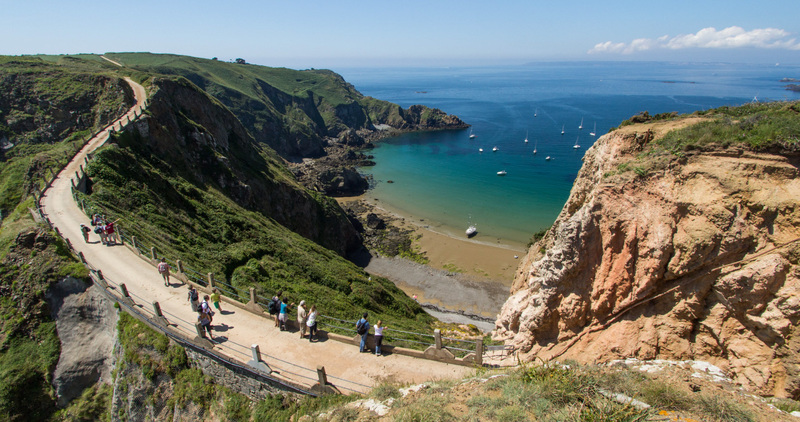 Sark is indeed a “great escape”, and many make the journey every year. One of the most popular times to visit is during the Sark Folk Festival. A weekend of great music in July. However, make sure you get your tickets quickly when they do go on sale, the 2016 event was sold out in half an hour!! Tuesday, 5th January 2016, 06:25pm.